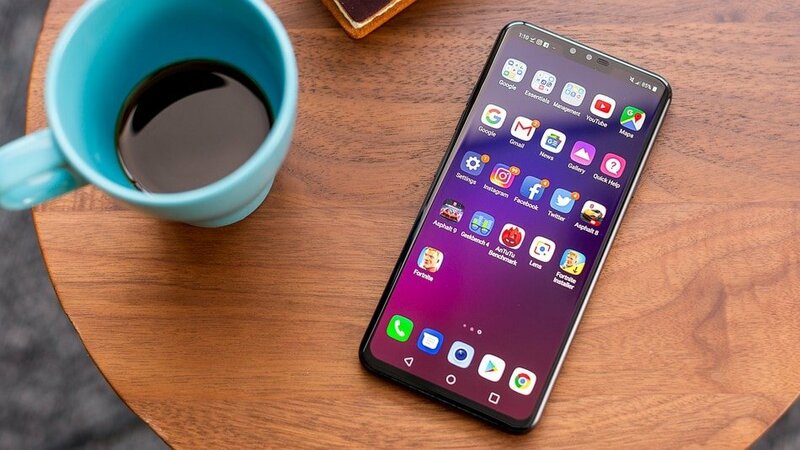 Popular mobile manufacturing company LG has launched their new handset, the LG V40 ThinQ. The main highlight of the phone is it comes with five cameras-three on the back and two on the front. It also features a 6.4-inch OLED display with a notch. The LG V40 ThinQ focuses mainly on audio technology with an improved Boomax speaker, 32-bit Hi-Fi Quad-DAC audio and DTS:X 3D surround sound. The smartphone will be available at a price of $899.99 (Rs. 66,400) and will be available in Aurora Black, Moroccan Blue, Platinum Gray, and Carmine Red colour options. The company is going to start the sale in US from October 18. Coming to the specification side, the LG V40 ThinQ runs on Android 8.1 Oreo and supports a 6.4-inch QHD + OLED FullVision panel with a 19.5:9 aspect ratio and a resolution of 1440*3120 pixels with Corning Gorilla Glass 5 protection. The mobile is powered by the flagship octa-core Qualcomm Snapdragon 845 processor paired with 6GB of LPDDR4X RAM and 128GB of UFS2.1 inbuilt storage. The LG V40 ThinQ supports a unique triple rear camera setup with a 12-megapixel primary sensor with f/1.5 aperture, 1.4-micron pixel size and 78-degree viewing angle; a 16-megapixel ultra-wide angle secondary sensor with f/1.9 aperture,1-micron pixel size, and 107-degree viewing angle; a 12-megapixel third sensor with f/2.4 aperture and telephoto lens, 1-micron pixel size and 45-degree viewing angle. The rear camera setup also supports Dual Phase Detection Auto Focus(PDAF), HDR, and a updated AI Cam mode.On the front, it supports a dual camera setup with an 8-megapixel primary sensor with f/1.9 aperture, 1.4-micron pixel size and a 5-megapixel wide-angle secondary sensor with f/2.2 aperture and 1.4-micron pixel size. As per storage, the handset comes with 6GB of RAM and 128GB of storage which is expandable upto 2TB via microSD card. Connectivity options include 4G LTE, Wi-Fi 802.11 ac, Bluetooth v5.0 LE, GPS, NFC, USB-Type C and a 3.5mm headphone jack. The mobile is powered by a 3,300mAh battery.